If you are planning a country theme or just want unique ways to personalize your wedding decor, why not consider chalkboard inspired signs? There are a number of ways that they can be created and the details are all up to you. First, let's look at the bride and groom bulbs. They are made of heavy card stock in the color of a chalkboard. The ribbon could match the color of your wedding party. You would then hand paint the flowers. these would be great on the chairs for the bride and groom or even as part of the wall decor. Next, we have the print that resembles the chalkboard. 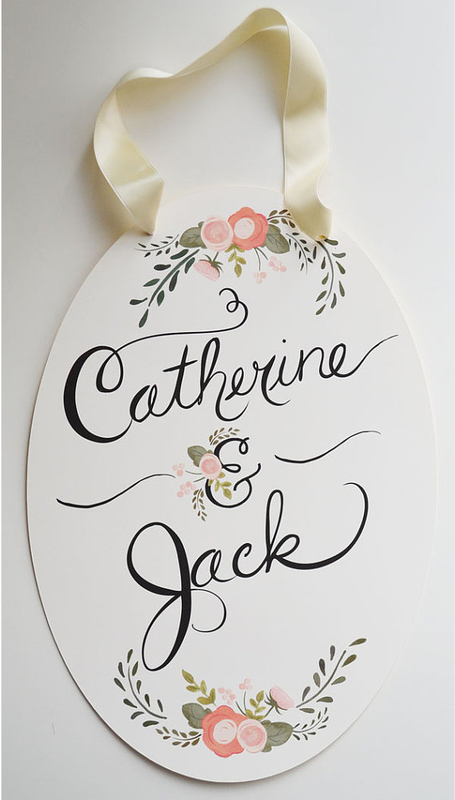 You would use card stock once again and design the names of the bride and groom. It is such a nice memento since it has the date of the wedding. The last example just has the names of the couple. It would make a great decor item by the cake table or even at the entrance to the reception hall. There are so many uses for a sign like this. 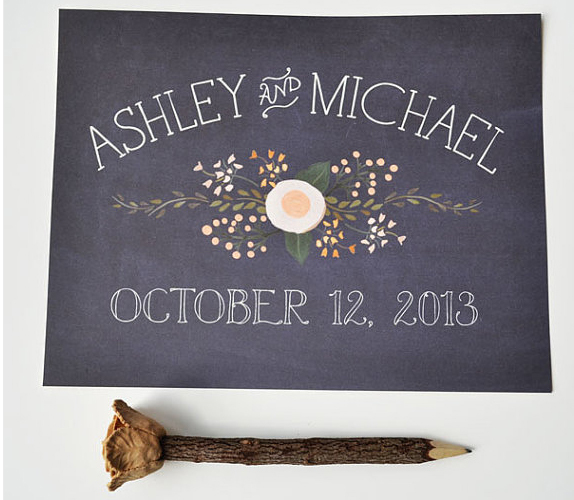 If you are looking for ways to personalize your special day, these chalkboard inspired signs are a wonderful ideas. They are simple to create and they won't break your budget. It is a decoration that can fit any size budget.